I drove up to Reno yesterday to have dinner with an old friend. On my way home, the clouds to the east were just gorgeous so I stopped at the Bellevue interchange (I-580 along Washoe Lake) to take pictures. 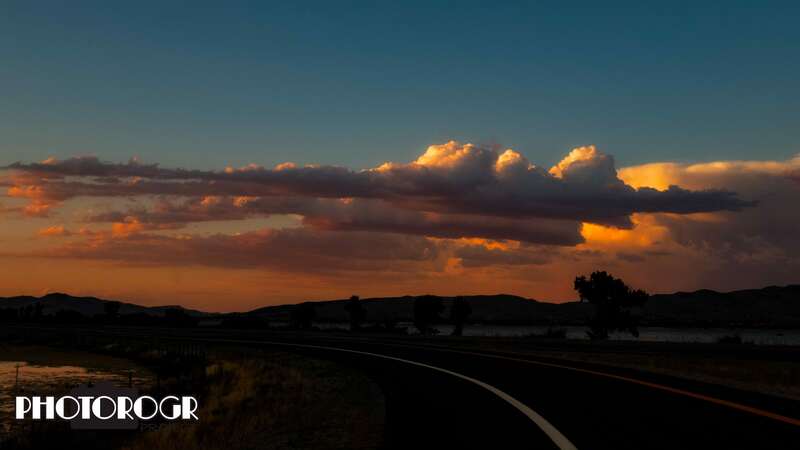 This image was made looking northeast towards Reno, which was behind me as I was driving. I merged two exposures in Adobe Camera Raw, processed in PhotoShop with On1 Photo RAW and Nik Color Efex filters. Yes, my Nik filters still work! Today’s PS Challenge image comes from the edge of the Desolation Wilderness, along the Pyramid Creek Trail. I was out the other day scouting photo locations – scouting because the fires near Yosemite National Park are covering our area with smoke. I tried some things but had very low expectations due to the smoky conditions. A couple images surprised me and I was able to make something useful of them. 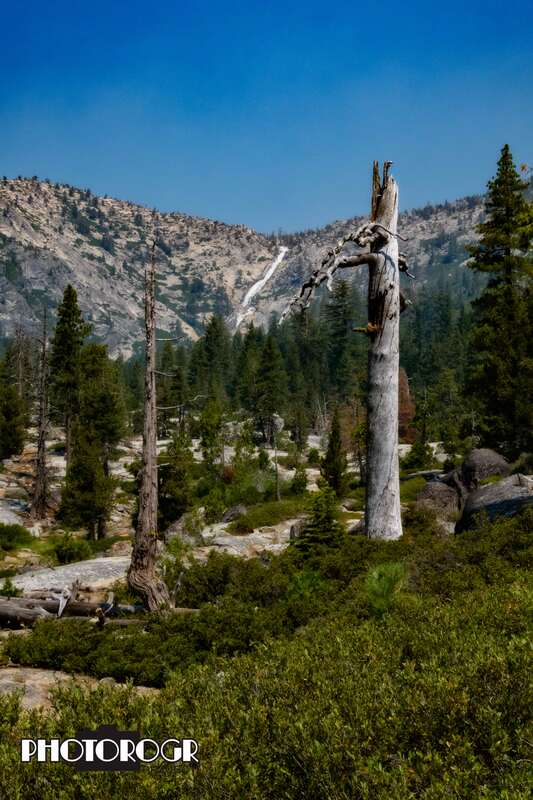 The waterfall in the background is Horsetail Falls, easily accessible from US 50 on the west side of the Sierra Nevada Mountains. 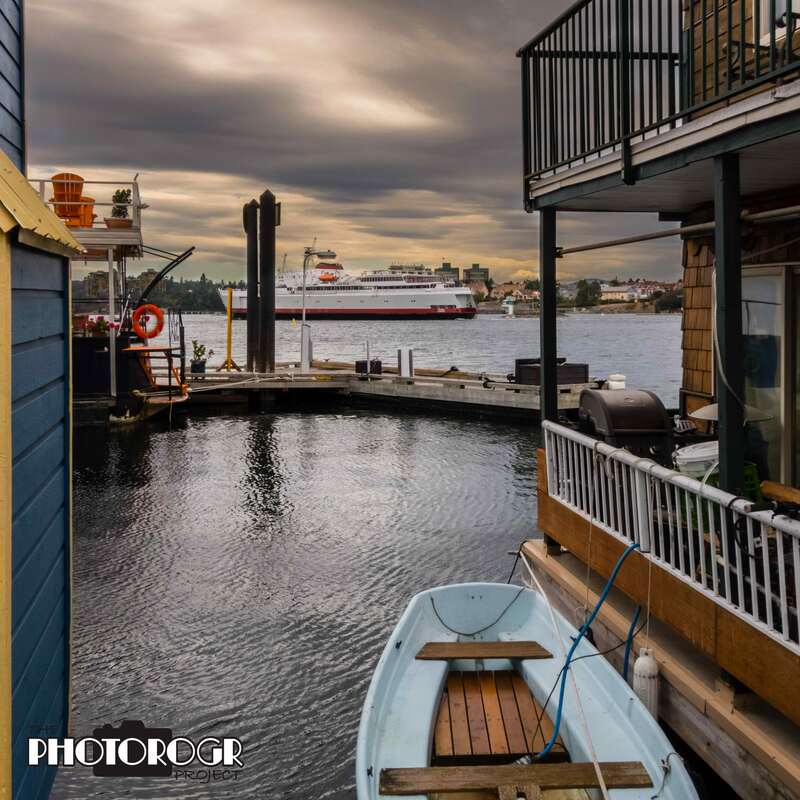 This PS Challenge image comes from Fisherman’s Wharf in Victoria Harbour. The image was made using bracketed exposures merged in Adobe Camera Raw, then processed in PhotoShop using several layers and masks. This was my most complex image processing to date, and challenged all my PhotoShop skills. The boat in the background is the MV Coho, the ferry between Port Angeles WA and Victoria. The house boats in Fisherman’s Wharf were beautiful, each one expressing something about its owner. 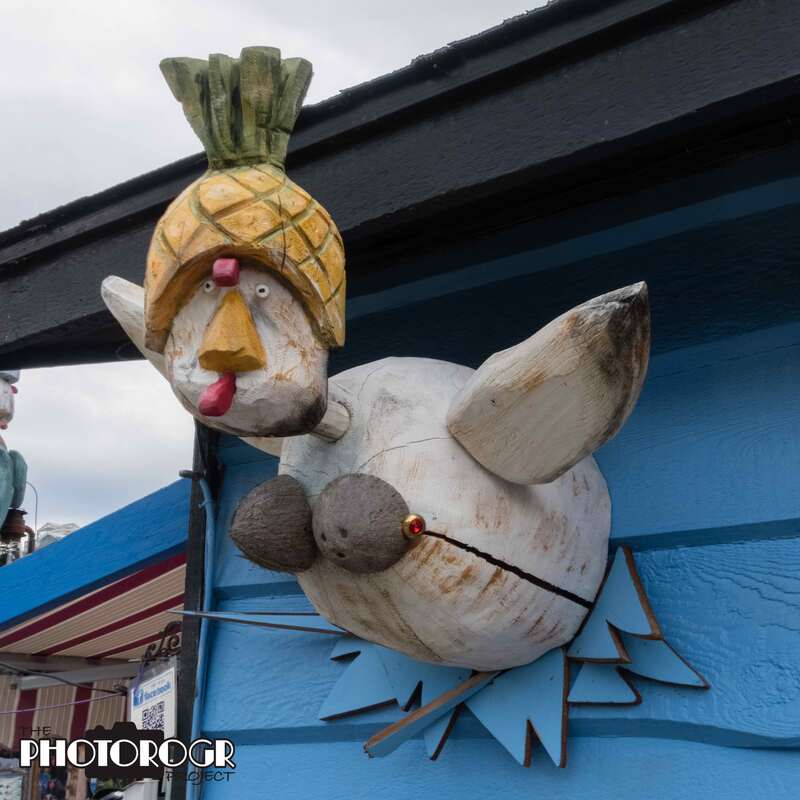 We walked by this sculpture attached to one of the house boats. Note the code for scanning in the bottom left corner of the image – these folks want to be noticed! Another image from our day in Victoria BC. 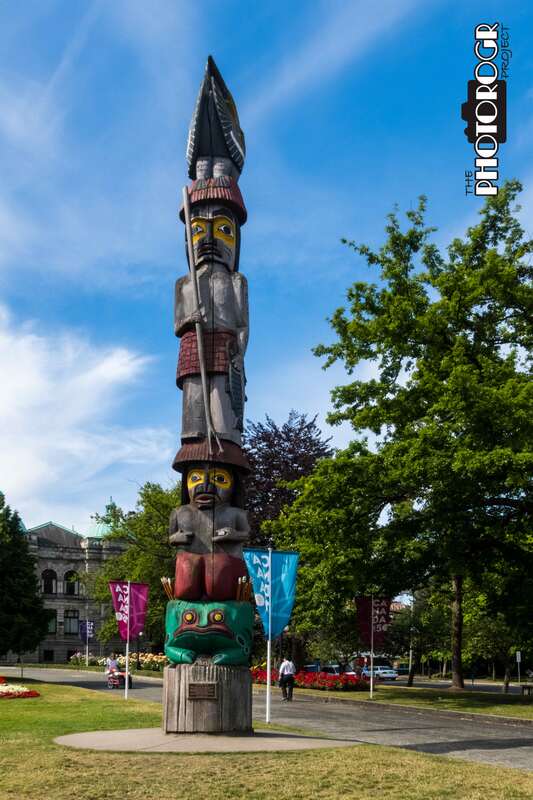 This totem pole is on the grounds of the Victoria Legislature complex. I was naughty and didn’t read the plaque so I could tell you the story. Sorry. My lovely bride took me on a water taxi ride a week ago. 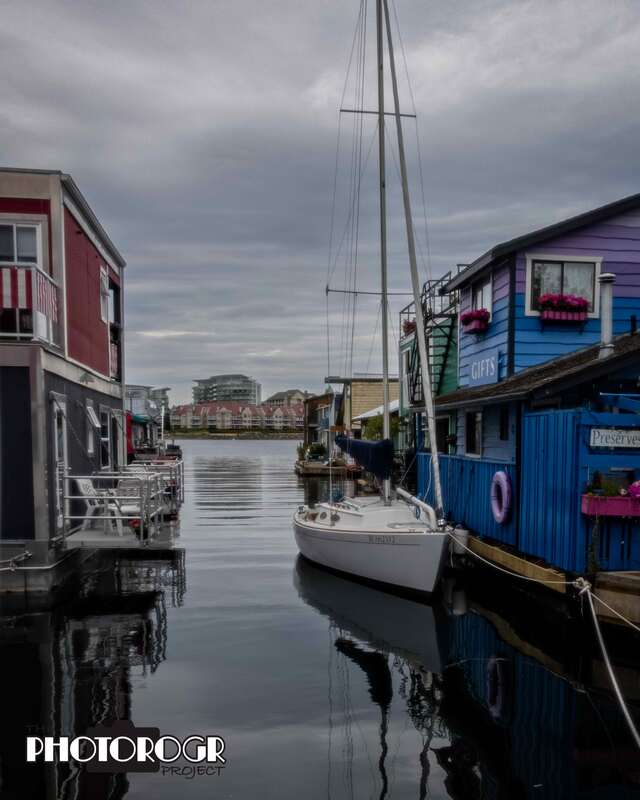 We ended up in Fisherman’s Wharf – a community of houseboats and wonderful photo opportunities. Here’s one of the images. As usual, I bracketed exposures, merged in Adobe Camera Raw, and processed in PhotoShop with a Photo RAW filter. I have more work to do on the image – I want to brighten the reflections in the water a little more. Any other ideas? It’s Bonus Day! While driving up to Hurricane Ridge in Olympic National Park, my lovely bride and I marveled at the beauty and number of the wildflowers along the road. I stopped several times to take pictures. These two close ups are among my favorites. Both images were bracketed exposures, merged and processed in Adobe Camera Raw and processed in PhotoShop. 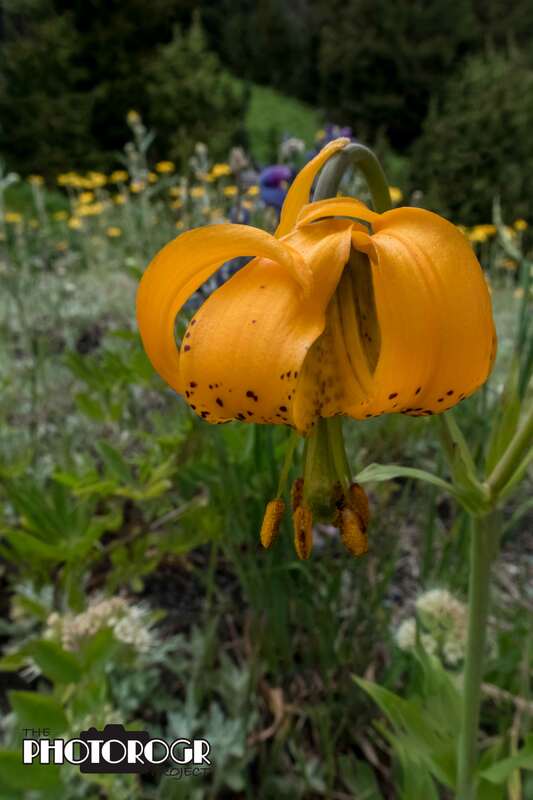 I think this is a Sierra Lily (or at least that’s what my Sierra Nevada Wildflowers book tells me). 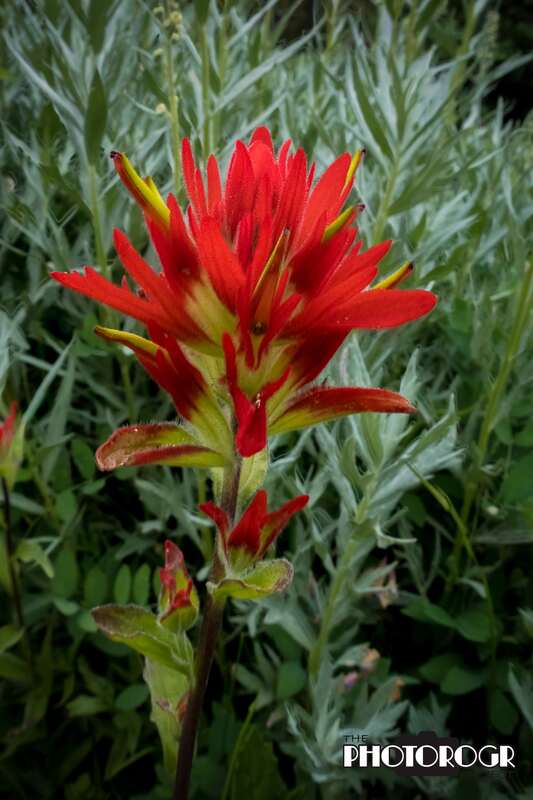 The Paintbrush is gorgeous anywhere.